CNET no longer hosts an internet speed test, but there are plenty of alternatives you can use. CNET Internet Speed Test is a bandwidth testing website that effortlessly displays your download speed. Oddly, and very much unlike similar Internet speed test sites, CNET's tool doesn't include an upload test. Though there are a handful of other features missing in CNET Internet Speed Test that you'll find on similar websites, it's still useful as an additional perspective after you've tried other speed tests. There are several other Internet speed test websites that I'd recommend over the one at CNET, but it can still be used for verification that the other websites are working properly. The disadvantage to a bandwidth test using Flash is that it can't be used on all devices, like Apple's iPhone. Also, using a browser plugin could distort the results, which is why it's better to run a test that doesn't rely on a technology like Flash. See HTML5 vs Flash Internet Speed Tests: Which is Better? for more on how Flash-based tests like CNET's differ from newer, HTML5-based ones and why one of those might be a better choice. 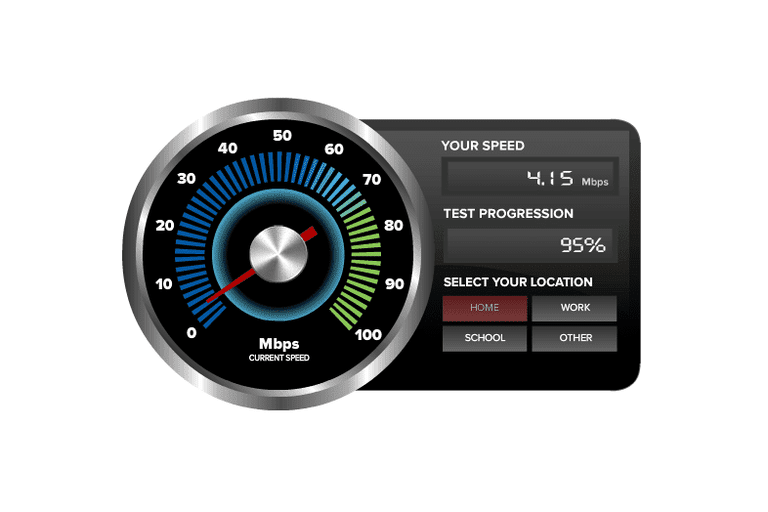 Most other Internet speed test websites give you the option to select a server to test your connection to. In a real world scenario, as you're browsing the Internet, you'll reach servers that are located in many different parts of the world, so testing your speed against just one location may provide unrealistic results. I like using bandwidth tests that let me save the results, whether online in a user account or offline in a file. CNET's speed test doesn't allow this, so you'll have to manually record the results if you're interested in comparing your speed tests over time. For a much more comprehensive and realistic Internet speed test, I highly recommend SpeedOf.Me, TestMy.net, or Speedtest.net.